A practical and spiritual resource to assist RCIA teams as they walk the journey with those who seek the fullness of the Catholic Church. 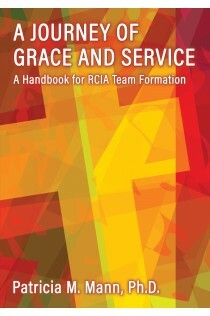 A Handbook for RCIA Team Formation offers a comprehensive understanding of the RCIA as a process. Each chapter addresses one particular aspect or period of this process. This team formation course is ideal for a year-round RCIA process but is not limited to that format. Interspersed throughout the informational parts of the chapters are practical activities, situational examples, and connections with our Catholic heritage. A very important chapter on discernment in the RCIA is also included. To achieve the lofty goal of assembling and training a team of faithful and faith-filled ministers, one must first come to understand the distinctions of “where, why, and how” the catechumenate fits within the catechetical life and ministry of the Catholic Church. Patricia Mann is a catechetical leader, serving in parishes and dioceses across the country for more than twenty years. She received her Ph.D. in Religious Education from the Catholic University of America in 2011. While focusing on all areas of religious formation, she has a particular interest in working with adults and initiation issues.